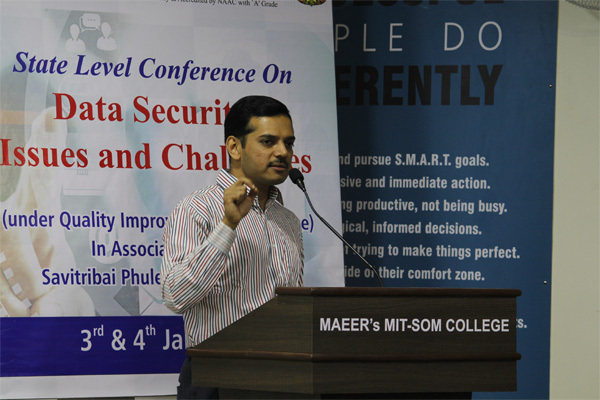 Synopsis: The seminar conducted over a span of two days and the topic, ‘Data Security: Issues and Challenges,’ had been divided into different sub-topic, so that each sub-topic could be dealt with by an expert. Session 1: Database Security, by Atul Kahate Mr. Kahate started off by briefly outlining the importance of database management systems and how they work. He then moved on to the importance of protecting databases, the challenges faced in doing so and the various solutions used to tackle these challenges. 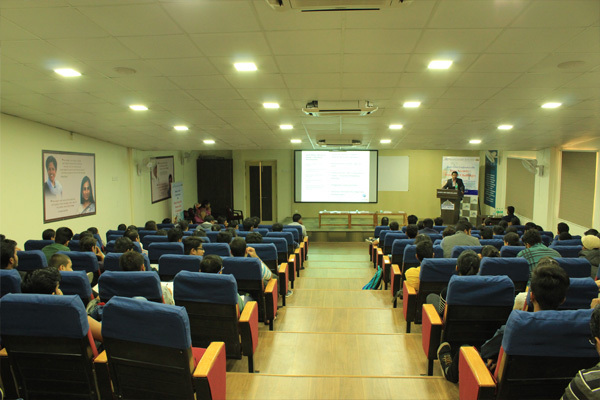 The session was highly comprehensive as the speaker explained everything from basics to more advanced concepts. Session 2: Cyber Security, by Adv. Rajas Pingle Adv. Pingle is a Cyber Law expert, which makes him an authority on Cyber Security. 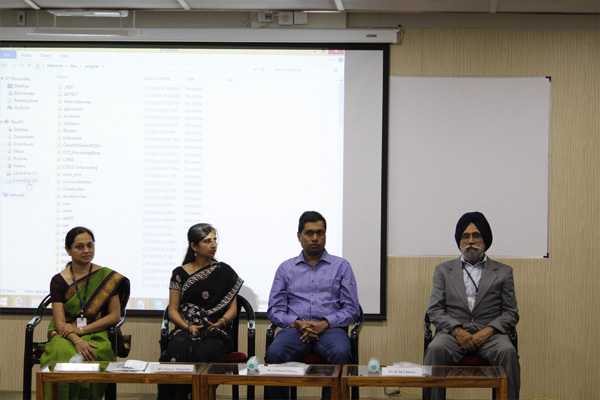 He explained the concept from the perspective of law – the importance of cyber security and how ignoring its minutiae can be a punishable offence. His session was engaging and especially enjoyed by all students, as he explained the topic using examples of scenarios we are used to in daily life – using social networks like Facebook and Instagram, for instance. The attendees could, therefore, interact and answer freely . 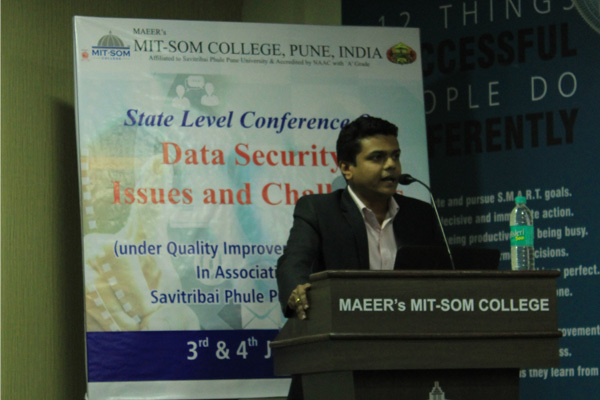 Session 3: Network and Data Security, by Sudhakar Shenoy Mr. Shenoy, an expert in Data Protection, Networking and Network Security, talked chiefly about Data Packet Inspection (DPI) and Data Leak/Loss Protection (DLP), which are the most fundamental and vital concepts in Data Security. Joshi Adv. Joshi spoke in great depth about how one should take privacy and security of personal data seriously in this age of social media. He gave examples of various legal cases that dealt with the exploitation of privacy through digital means. 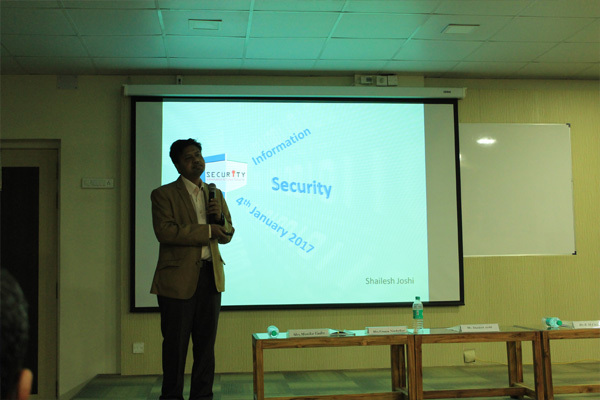 Session 5 (Valedictory Function): Information Security and Business Continuity - Issues and Challenges, by Shailesh Joshi Mr. Joshi, who happens to be an alumnus of MIT, Pune, delivered the session on Information Security. Being a leading IT Governance, Risk and Compliance expert, he could successfully catch everyone up with the current scenario in the sector of InfoSec. 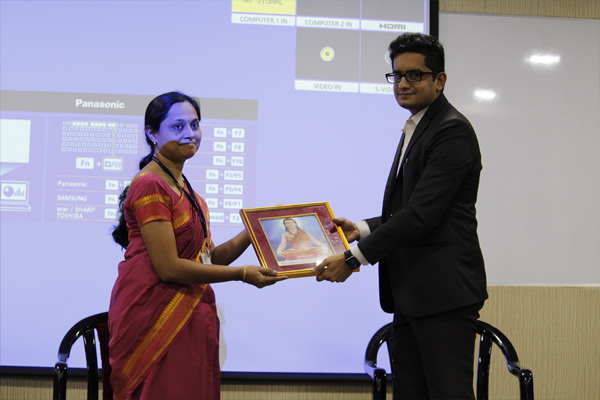 His session was rich in information and despite the topic being complex and vast, it was understood by everyone as Mr. Joshi illustrated each concept with an appropriate and real-life example.